Canada joined a list of countries in an effort to end animal testing on cosmetics. While we may be making “progress” when it comes to testing on animals, human beings remain the biggest guinea pigs of all. But more on that later. The Cruelty-Free Cosmetics Act will prohibit cosmetic animal testing in Canada as well as the sale of cosmetic products or ingredients that have been newly animal tested elsewhere in the world. The world’s largest beauty products market, the European Union, together with Norway, Israel, India, New Zealand, Turkey, and several states in Brazil, have already enacted full or partial bans on animal testing for cosmetic products and ingredients. Legislation is still pending in the United States, South Korea, Brazil, Taiwan, Australia, and Argentina. There are still plenty of questionable ingredients in our cosmetics and beauty products, many of which haven’t been tested by any means at all. Until of course you smeared it or dabbed it on. The human species is a proverbial guinea pig in the great test of new product safety. One in eight ingredients used in personal care products is also used for industrial purposes, so it’s likely that we each have some pretty poison in our blood. The Environmental Working Group offers a database called Skin Deep of more than 79,000 personal care products, ranked by level of hazard. These are produced with around 10,500 different chemicals. According to EWG estimates, the industry acknowledges assessing under a fifth of those. Formaldehyde — used in nail polish, shampoo, soap, and hair straighteners — frequently appears on ingredient lists (sometimes disguised as “formalin”); it’s a known carcinogen. Dioxane — which rarely appears on labels because it’s not an intentionally added ingredient but a byproduct of manufacturing. Found in bubble bath, hair dyes, and lipsticks. Phthalates — are a group of chemicals used to make plastics more flexible and harder and are endocrine disrupters. CDC researchers found measurable levels of many phthalate metabolites in the general population. As we’ve reported here on HoneyColony before, the Food and Drug Administration doesn’t regulate cosmetics before they come to market. Just like with systemic pesticides and Big Ag, cosmetic firms are responsible for substantiating the safety of their products. It’s the old story of the fox guarding the hen house. What’s insidious about this situation is that it’s difficult to prove the connection between an ingredient and a reaction when there are so many other variables. How many people have to get sick and stand up before we believe environmental toxins are linked to the rise in allergies, autism, cancers, etc.? What ever happened to empirical observation? 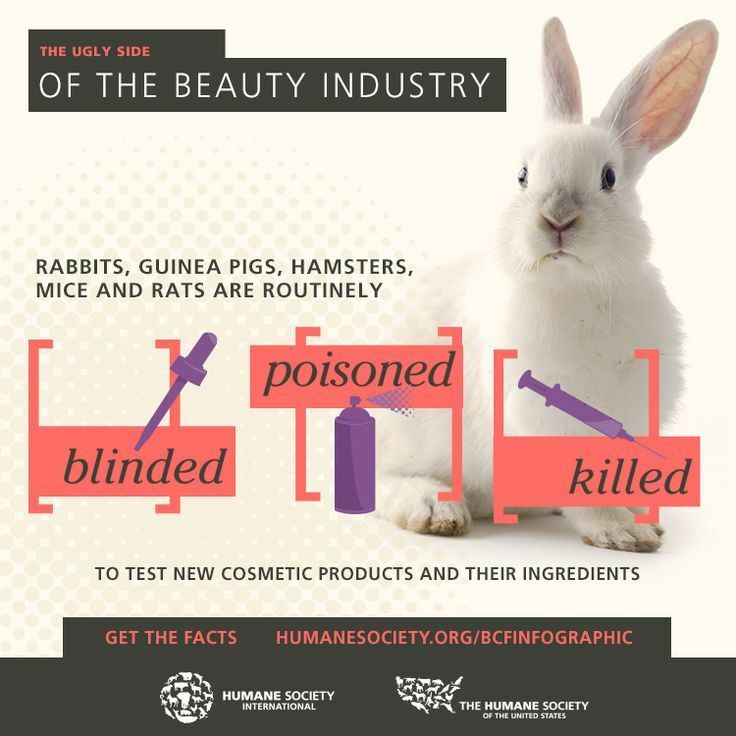 While I certainly don’t advocate any testing on animals, consider that these bans won’t stop companies from putting questionable ingredients in beauty products at our expense. I don’t want to be a laboratory chimp either. Best to just avoid mainstream products altogether and deal with companies with ethics, integrity, and ingredients safe enough to eat. An ever-growing number of alternatives to animal testing have been developed with financial support from numerous governments and industry, while also being accepted by regulatory authorities. Examples include human cell-based models for skin and eye irritation, skin allergy, skin absorption, genetic toxicity, and sunlight-induced “phototoxicity”. Find out more: #BeCrueltyFree Canada is part of the largest global campaign in history to end cosmetics animal testing and trade. The Canadian campaign is led by Humane Society International and Animal Alliance of Canada. Globally there are #BeCrueltyFree campaigns in Australia, Brazil, Canada, China, India, Japan, South Korea, New Zealand, Russia, Taiwan, and the United States.